I’m a huge college sports fan- football and basketball are my thing and I’m fortunate to have attended two amazing schools with great teams! I’m a Mountaineer, first and a Hoya, second. This year, WVU did not make it into the NCAA tournament….so now I’ve banked everything on Georgetown. Okay, maybe not everything…I’m not really a bettin’ girl, but I believe in being loud and jumping around to cheer on my alma mater. I just wanted to shout, HOYA SAXA!! Just happened to catch your post on Twitter. 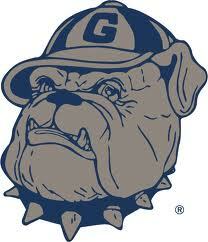 There is a special place in my heart for Georgetown. Growing up, my dad and I watched lots of NCAA basketball. I watched Patrick Ewing play for a few years with the Hoyas…then moved on the the NBA. I actually remember watching the 1982 NCAA National Championship game. It was N. Carolina (with Michael Jordan & James Worthy) vs Georgetown (with Patrick Ewing). It was an unfortunate ending for the Hoyas, but a great game nonetheless. Hey Tim! Thanks for your comment! That’s awesome, thanks for sharing! I love Hoya basketball and keeping my fingers crossed for a win tonight…it’s close right now….stressful! 🙂 It’s half-time now, so hoping the team is ready to drive the court when they return! The video is FANTASTIC!! Thanks for posting! So cool! !